The last decade has seen a dramatic progression in the arthroscopic management of rotator cuff tears. Arthroscopic cuff debridement, favored in the 1990s, has yielded to the sophisticated arthroscopic cuff repairs (including large and massive tears) performed today. 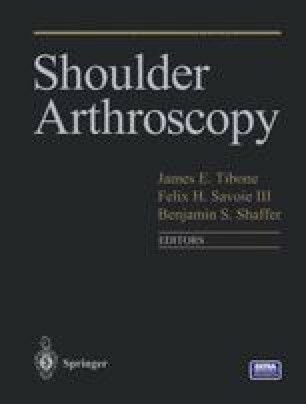 The refinement of suture anchor techniques and the continued development of arthroscopic skills have ushered in the current era of arthroscopic repair for virtually all rotator cuff tears.